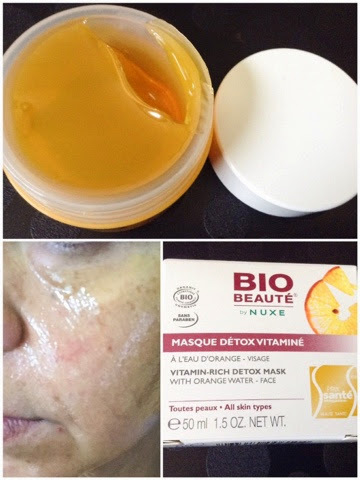 Bio Beauté Vitamin-Rich Detox Mask 50ml with orange water was specially created to detoxify all skin types. Formulated with Ultra-sensory and vitamin-rich ingredients with a light texture. The vitamin-rich detox mask affectively removes impurities. detoxifies the skin and evens the complexion to become clear, radiant and beautiful. Best to use before makeup and before a big event where you want your skin to look it's best. Leaves the skin prep for a flawless makeup application, Awakens, plumps up and leaves the skin radiant. Add water and mask turns into an oil than a foaming milky cleanser. Enriched with essences of orange and Mandarin contains orange water with myrtle extract. I've heard good things about this nuxe parfüm product. Going on my wish list now!